I was on a seafood kick over the summer and at one point, I actually heard my brother say, “Seafood again?” Nonetheless, I changed his mind with this dish. Neither my brother nor my mother really enjoy mussels. At least that’s what they said before I made this dish. I will admit that while the preparation methods are all my own, I have seen a dish very similar to this on restaurant menus. I might never have thought to pair such a strong ingredient like hard, spiced chourico (don’t get the soft, milder kind) with the mildly ocean-sweet taste of mussels. It worked so well in the dishes I tasted at restaurants though that I knew it was a match made in surf and turf heaven. After eating this dish, my mother and brother both completely changed their minds about mussels. In fact they said they even preferred them to clams. The problem with mussels is that a lot of places like Chinese Buffets tend to serve them a little unfresh, sitting in their own juices for a long time, and covered in some kind of goopy-sweet mess. That’s a surefire way to put someone off of ever eating mussels again. Whether you’re a seafood lover or you’re squeamish around shellfish, I would certainly suggest giving this recipe a try. It might just change your mind or at the very least give you another concept of how to serve mussels. Makes about three very large servings at 476 calories each or 1428 calories total. + extra if including bread. About 2 pounds of mussels or one large bag from the grocery store or fish market (about 15 cal per mussel or 825 cal total). 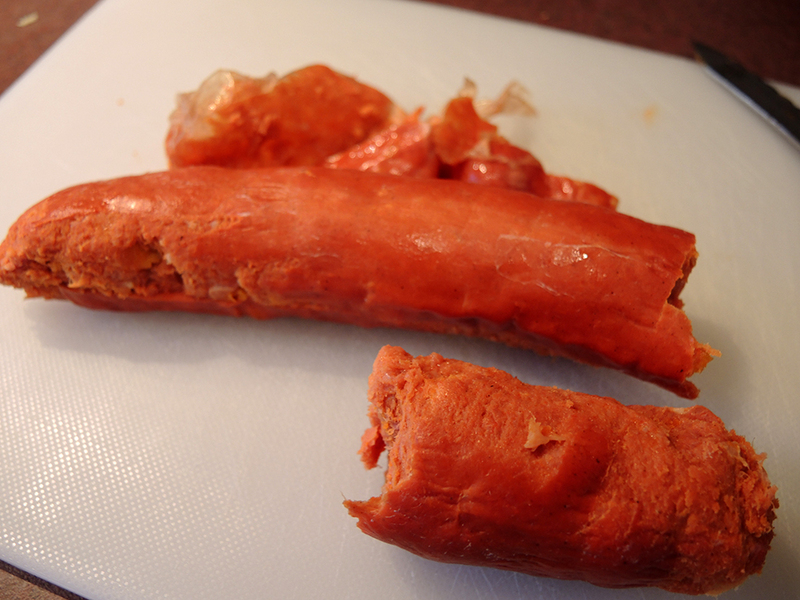 0.5 or 1 whole chourico/chourizo link, which is about 0.25 – 0.5 pounds (240 – 480 cal). 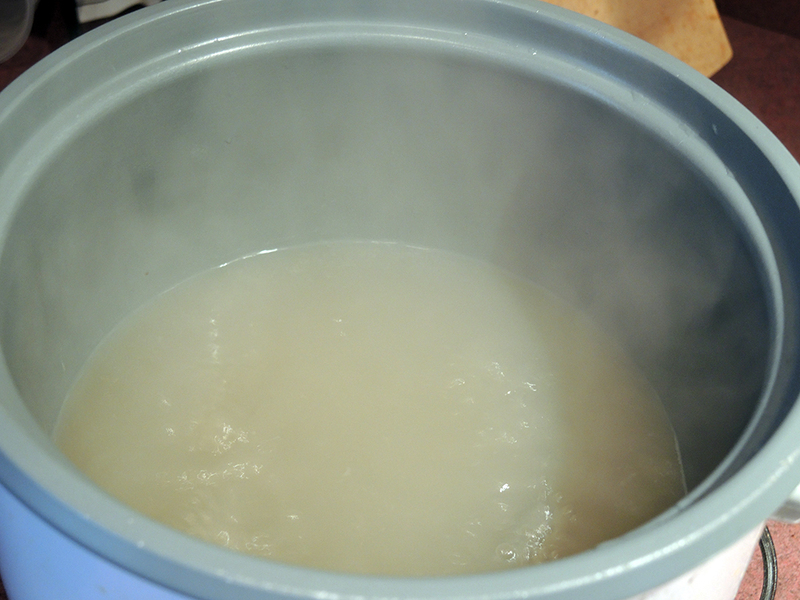 Place the clam juice with the optional white wine into your steamer system and bring the liquid up to a boil and reduce to a strong simmer (if you’re using a rice cooker, then the normal boil is a simmer, so you’re all set). 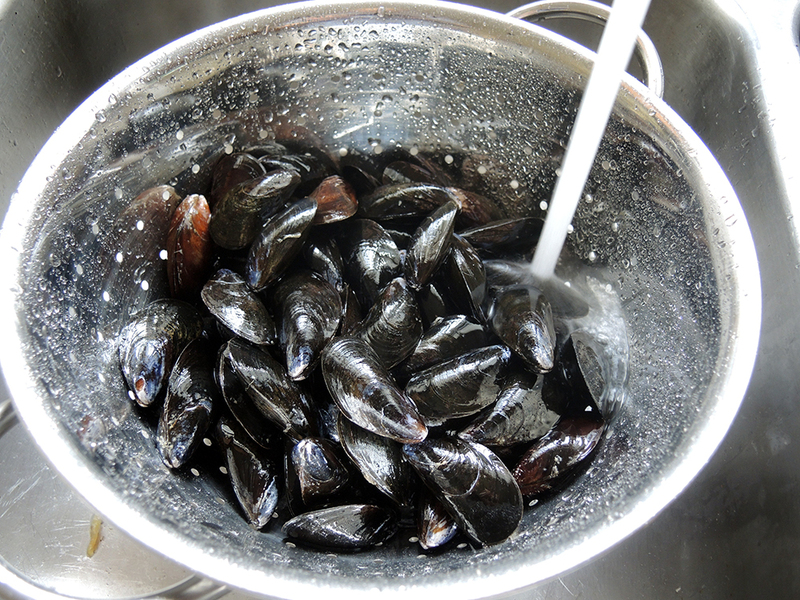 While the water heats up, place the mussels in a colander and rinse them thoroughly to get any excess sand, dirt, or grime off the shells. Remember that before cooking sometimes the mussels will open slightly to peak around and see what’s happening. The important point is that any mussel that doesn’t shut again when touched is probably dead, so remove those (if any) from the mix. Next, place the mussels into the pot over the steamer portion of the pot or rice cooker and spread the crushed garlic out over the top and into the crevices. You don’t need to go nuts pushing the garlic around. It’s just for some subtle flavor and aroma. 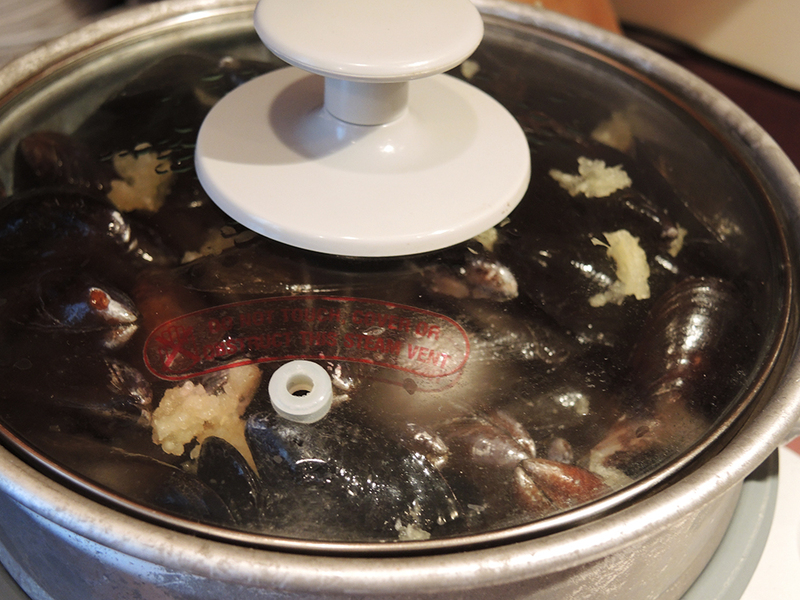 One quick note: the pot I used wasn’t large enough, so when the mussels opened, they started to push the lid up. Make sure you leave enough room at the top to accommodate and a couple of extra inches of height from the mussels as they cook. 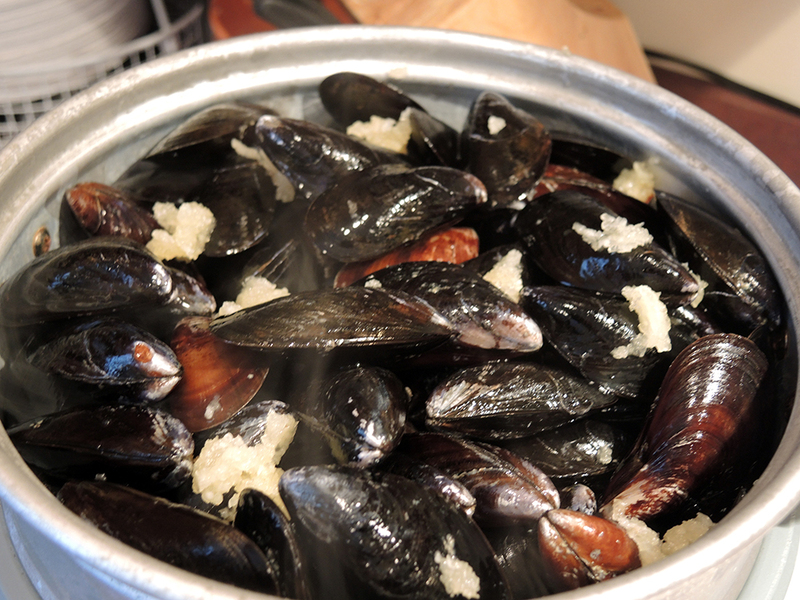 Cover the mussels and let them steam for about 10 – 15 minutes or whenever all of the mussels have opened. 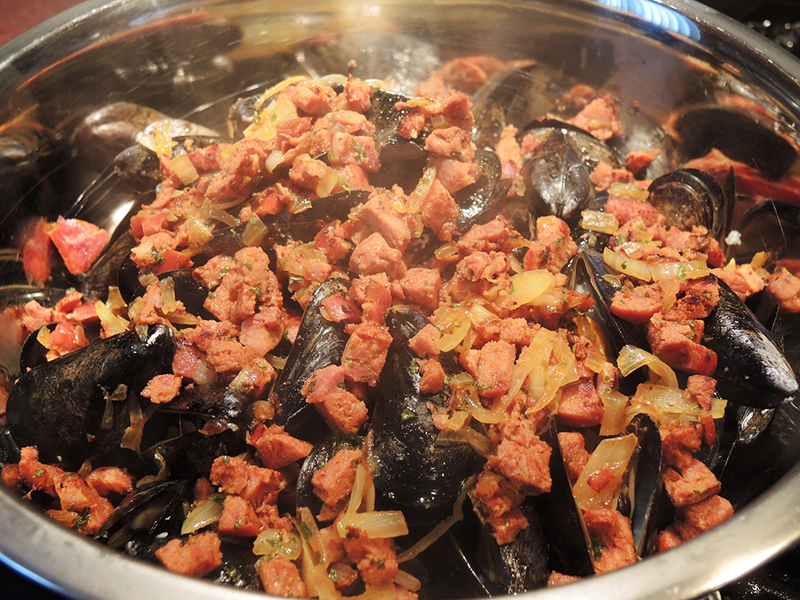 While the mussels steam, start in on the chourico/chourizo “sauce” mixture by removing the casing on 0.5 to 1 sausage link. If you have ground chourico then feel free to use 4 – 8 oz. of that. 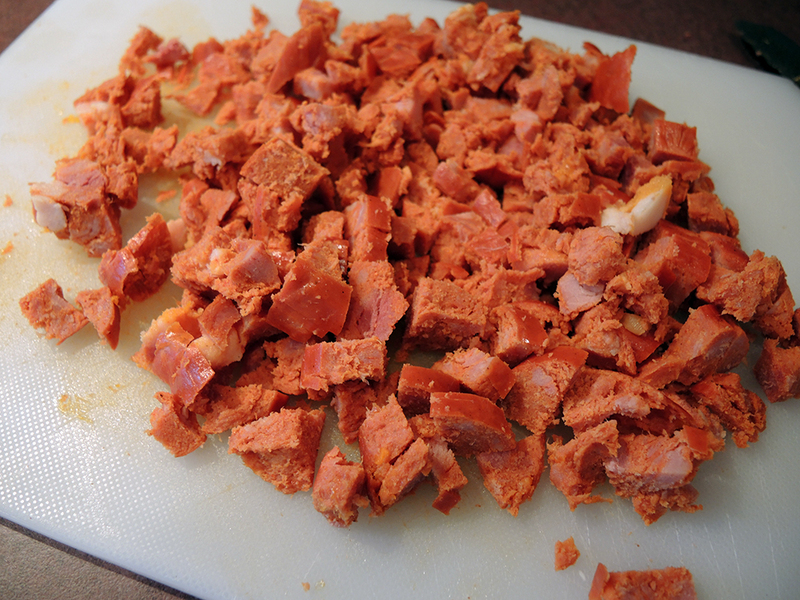 Dice up the chourico into small pieces so that no piece is too large. You want the chourico to be able to sit in the mussel shells after mixing everything together. 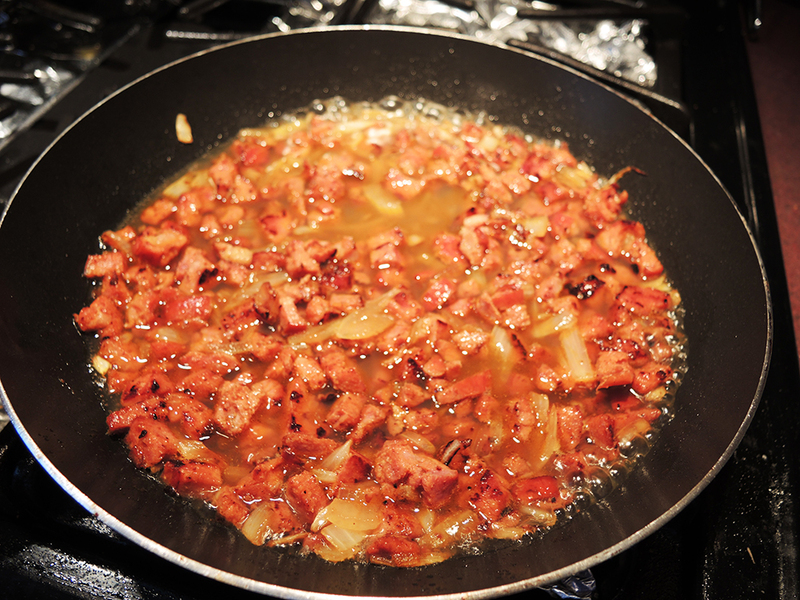 Roughly dice up an onion and, in a large pan, add in the chourico with the onions to saute them under medium heat without butter until they get some nice color on them. Please ignore the weirdly shaped onion pieces below… I asked my brother to chop the onion and he started cutting julienne style onion pieces for some reason, so I quickly chopped them again without much effort. Add the butter to the mixture and melt the butter into the ingredients stirring frequently. Set the pan aside off the heat so you can deal with the mussels that should be cooked by now. 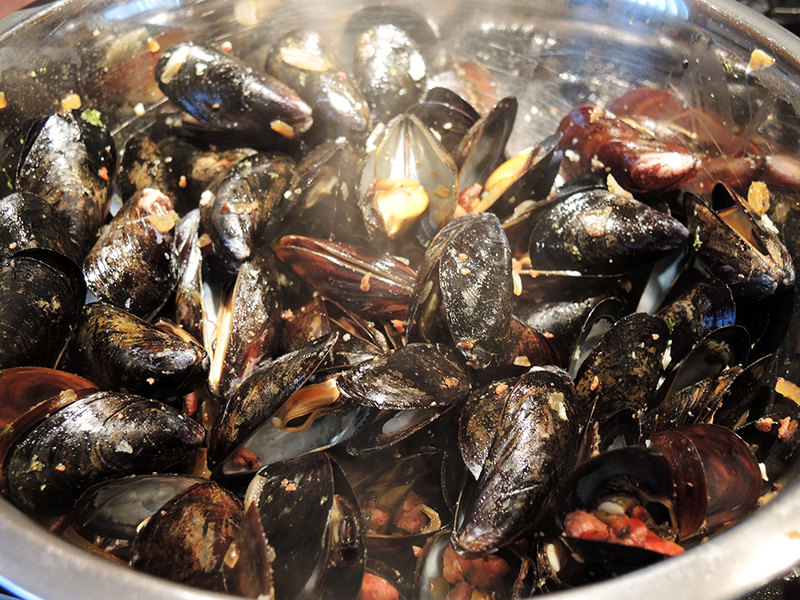 Empty the mussels (without the water in the pot) into a large mixing bowl. Next, place the chourico back on the heat and get about a 1/2 cup of the liquid that you used to steam the mussels, which you’ll then pour into the chourico mixture. 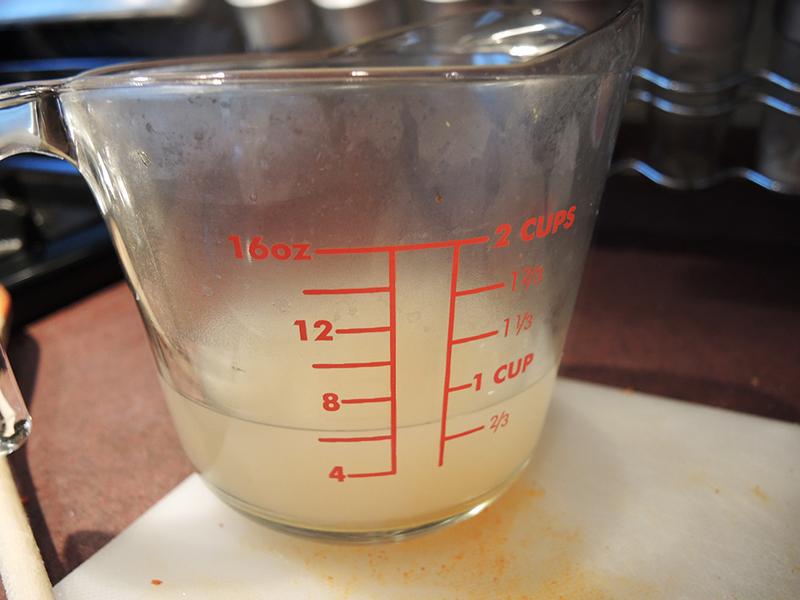 After pouring the liquid into the chourico mixture, bring the heat up to high and reduce the liquid in the pan until most of it evaporates, and makes kind of a sauce. Stir frequently. At this point, you can add in 1/2 a teaspoon of dried parsley if you want to the mix. Once done, pour the mixture over the mussels in the large mixing bowl. 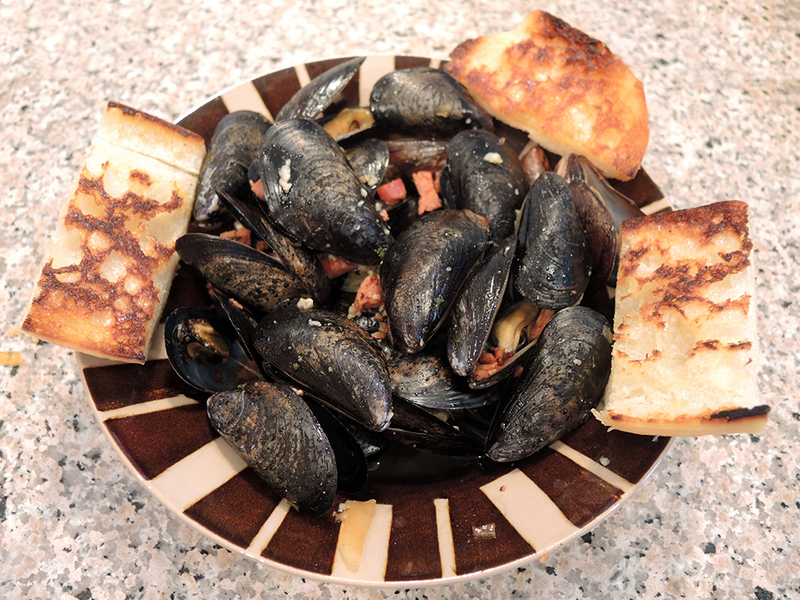 On the same pan that you made the chourico, toast some bread in butter, if you want, to accompany the mussels. Lightly fold the mussels together with the chourico using a wooden spoon, but don’t mix too hard. Just get the ingredients to mix evenly. Serve the mussels in large or smaller portions. I decided to serve them as three large meal portions along with toasted foccaccia bread (about 150 cal per 2 oz. 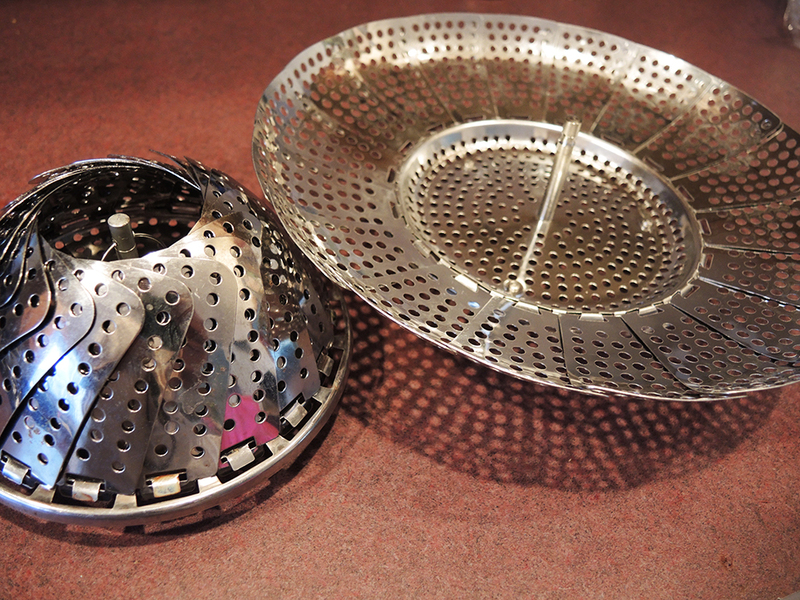 ), but you can divide them up however you see fit. 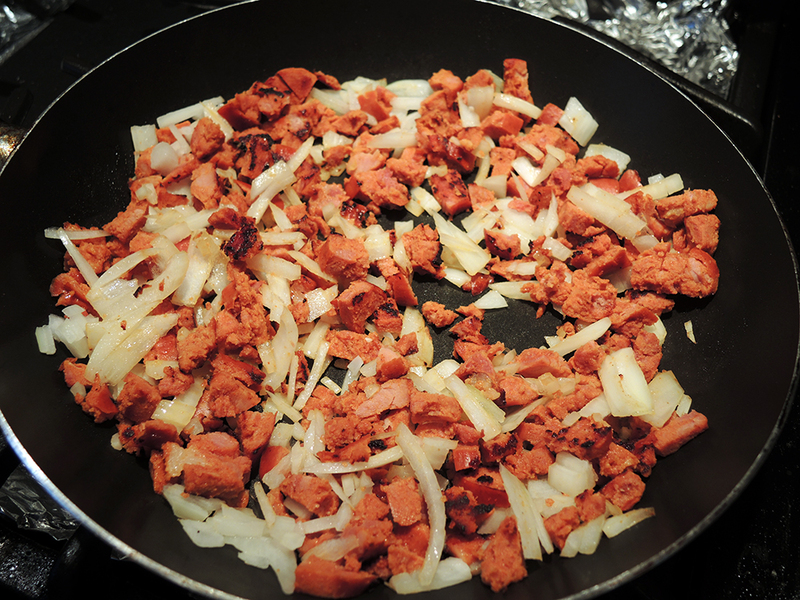 nothing manlier than chorizo, that is for sure. i would be too tempted to just slather this dish in cilantro and never eat anything else. this dish looks easy and super delicious. keep up the good work, man. Very elegant man fuel. But man fuel none the less. I have been doing a lot of fish over the summer myself. I will be hitting back hard with some oxtail and leg of lamb fairly soon. I love both ox tail and leg of lamb. I have an ox tail recipe in the works myself, but I was saving it for a holiday. Can’t wait to see what you come up with!